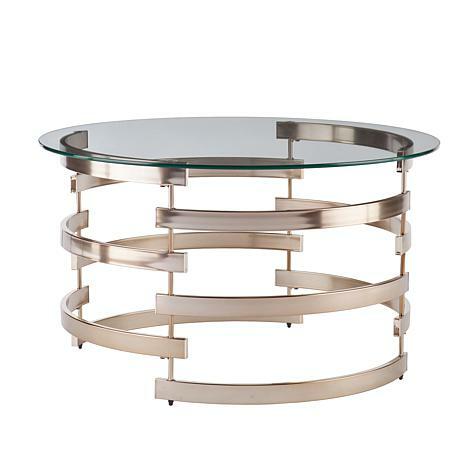 Slip this circular cocktail table into your living room for a divine dose of contemporary excellence. 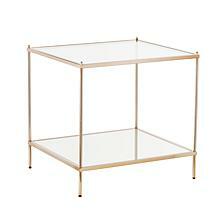 Shiny champagne base has an open, interlocking design full of airy negative space. 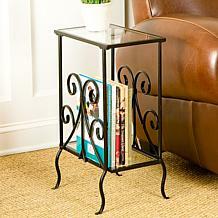 Tempered glass top blends with décor, plus open frame makes it great for smaller living areas. 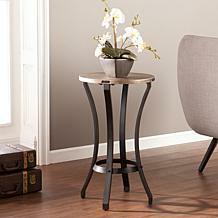 The round shape and abstract style of this cocktail table evoke Art Deco appeal. 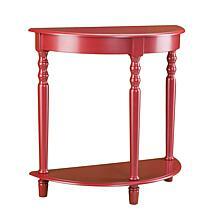 Maximum Weight Capacity: Supports up to 50 lbs.